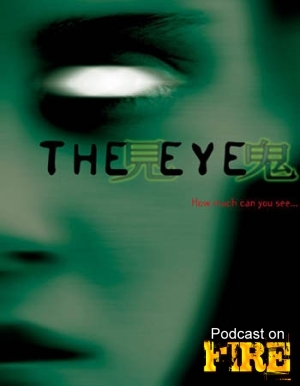 Angelica Lee sees dead people in The Eye from 2002, by the Pang Brothers. With Kenny B and Paul Fox of the East Screen West Screen podcast. Plot (Universe): Chu Xun (Angelica Lee) is a young writer whose first novel has become the best seller in Southeast Asia. “Re-Cycle” is her next book. It deals with the supernatural forces. Every reader anticipates the publication of her new book “Re-Cycle”, since all of them believe that her writings can bring impact to them. Ever since she starts writing “Re-Cycle”, various weird incidents emerge. Later on, she finds out that the heroine of her new book as come out of the fictional world into the real world.